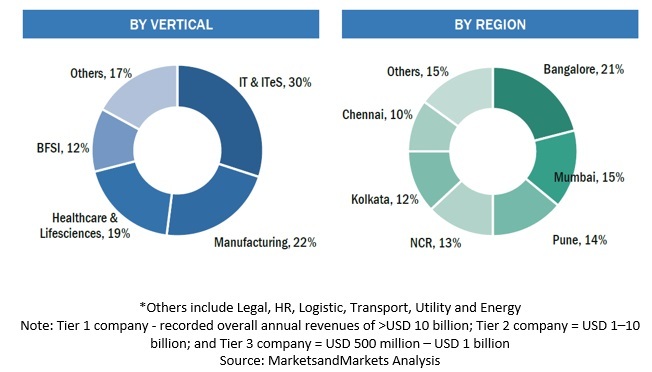 [81 Pages Report] MarketsandMarkets expects the India HCM Market in SMB to grow from USD 133 million in 2018 to USD 214 million by 2022, at a Compound Annual Growth Rate (CAGR) of 12.5% during forecast period. Central government initiatives, such as Make in India, Startup India, and Skill India are expected to drive the India HCM market. Economic and political support from governments and the increasing number of startups are fueling the growth of the market in both the cities. Moreover, the emerging advancements in digitization have led to automation of business processes across cities. The IT and ITES vertical is very active in terms of adopting HCM software. The software helps streamline business processes across locations to a centralized process. Moreover, the adopting companies makes sure that their employees undergo training to understand the current technical environment. Therefore, advanced technologies and various software and solutions are helping this vertical prioritize its actions and manage its workforce smoothly. Bengaluru emerged as the biggest city in terms of adopting HCM software, especially among the Small and Medium-sized Businesses (SMBs). The SMBs are growing their business around technology companies. Moreover, Bengaluru being one of the hi-tech cities in India with the highest number of startups, is expected to drive this market. The major vendors of the market include Keka (Hyderabad), Darwinbox (Hyderabad), greytHR (Bengaluru), ZingHR (Mumbai), People Works (Bengaluru), and Zoho People (US). These companies have adopted various organic and inorganic growth strategies to further expand their presence in India. Keka concentrates on direct selling and leverages its unique selling proposition (USP) on special features and customer support, such as a customer winning user interface, and consistent and free support services to enter new markets or acquire new customers. Unique features such as Performance Manager and Geofencing are utilized to cross-sell and upsell its product. Strong emphasis on retaining the existing customers by fulfilling their special requirements, such as new feature integration or third-party Application Program Interface (API), has helped the company stay ahead of the competition. Keka’s primary source of marketing is through word-of-mouth, as its user experience and automated support services provide it a significant edge over its key competitors, such as greytHR. greytHR’s focus is mainly on customer satisfaction. It offers 30-day free trial to clients with access to full features and generates a bill after the trial period based on the plan chosen. The company is a renowned brand for HCM in the SMBs sector. Its strong partner ecosystem is helping it gain customers, claiming to add about 20–25 new customers/city in a month, and targets to cater to 10,000 clients over the next 3 years. Positioned itself in the market as a low-cost software (mainly due to lack of strategic modules), the company targets SMBs in various locations. Clients can disconnect anytime with no lock-in period or no upfront cost. This ‘pay-after-use model’ is helping the company gain traction in the market. ZingHR has 2 types of partners: Resellers, and support and implementation partners. Resellers only provide leads to ZingHR and help in selling the company’s products. They do not provide any support or implementation assistance. ZingHR takes care of them by itself. The support and implementation partners are system integrators who resell and integrate ZingHR software with their own software/services. If a customer purchases ZingHR software through the support and implementation partners, then all the installation and technical support will be provided by the partners themselves. ZingHR will only provide online support to these customers. In January 2019, greytHR finalized its funding, which would be utilized to strengthen operational its HR modules only. The funding will not be used for strategic HR modules, as the company does not have plans to target large enterprises. In December 2018, greytHR expanded its geographical presence to Singapore, so that the local customers to gain more access to greytHR’s products and services. What are the current trends in the India HCM market that are driving the demand for technological advancements? Who are the vendors in the market and what is their competitive analysis? Which products have been analysed in the market? The study consists of 4 major activities to estimate the current market size of the India Human Capital Management (HCM) market in SMB (Small and Medium-Sized Business) sector. An exhaustive secondary research was done to collect information on the market, the peer market, and the parent market. The next step was to validate these findings, assumptions, and sizing with the industry experts across the value chain through primary research. Both the top-down and bottom-up approaches were employed to estimate the complete market size. 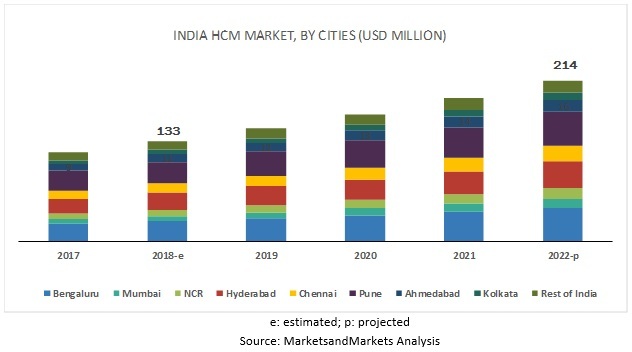 Thereafter, the market breakup and data triangulation procedures were used to estimate the market size of the segments and subsegments of the India HCM market. Various primary sources from both supply and demand sides of the India HCM market were interviewed to obtain qualitative and quantitative information for this study. The primary sources from the supply side included industry experts, such as Chief Executive Officers (CEOs), Vice Presidents (VPs), marketing directors, technology and innovation directors, and related key executives from various vendors who provide the solutions and associated service providers and system integrators operating in the targeted regions. All possible parameters that affect the market covered in this research study have been accounted for, viewed in extensive detail, verified through primary research, and analyzed to get the final quantitative and qualitative data.